Stocks rose on optimism about Pfizer's acquisition of rival drugmaker Wyeth but fell on earnings reports that pointed to further weakness in the economy. 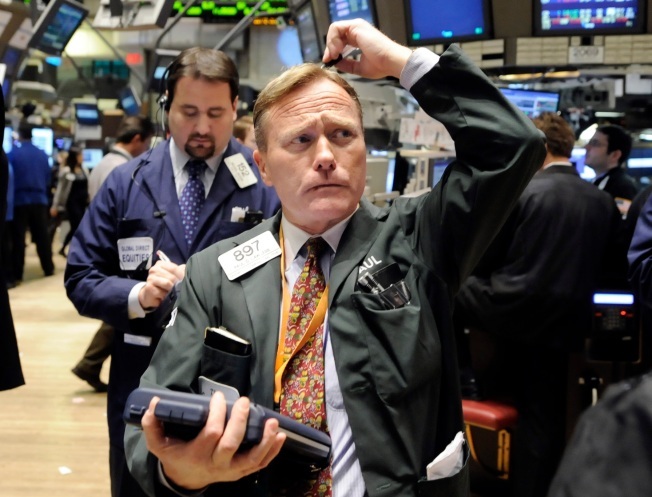 NEW YORK — Wall Street has managed an advance the hard way — zigzagging in response to a mix of earnings and economic news before closing moderately higher. The major indexes changed course several times, rising in response to Pfizer Inc.'s $68 billion planned acquisition of Wyeth. The deal reassured investors that mergers could still take place in a recession. And the National Association of Realtors said existing homes rose rather than fell in December. But investors were selling on downbeat comments from Caterpillar Inc. about the health of its business. Both Caterpillar and Home Depot Inc. announced big job cuts. The Dow Jones industrials have closed up 38 at 8,116. The Standard & Poor's 500 index gained 4 to 836, while the Nasdaq composite index is up 12 at 1,489. Advancing stocks have a 2 to 1 lead over losers, and New York Stock Exchange volume came to 1.27 billion shares.